Barbican. 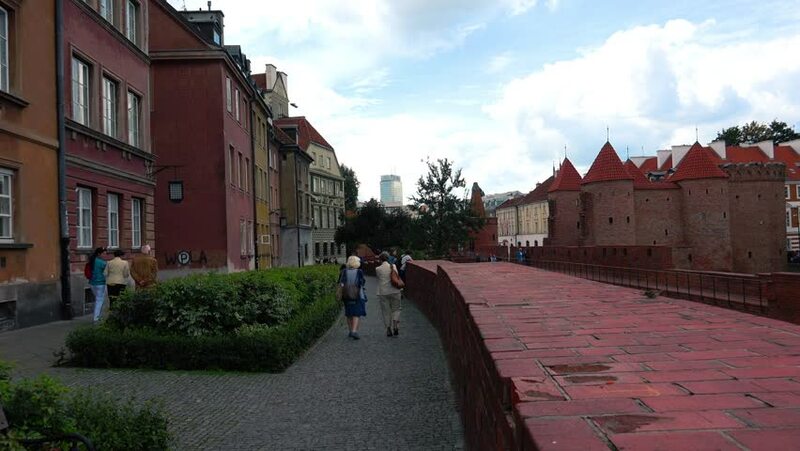 Ancient, old tower in Warsaw. Poland. Shot in 4K (ultra-high definition (UHD)). hd00:07Stockholm, Stockholm / Sweden - 07 05 2016: Stockholm, Sweden ? July 5, 2016: KTH Stockholm campus scenery. 4k00:27Brick wall in the old town of Warsaw. Poland. Shot in 4K (ultra-high definition (UHD)). hd00:17Great Easton, Leicestershire, UK - August 07, 2017: Driving past the honey colored stone and thatched buildings around the green and war memorial in the Leicestershire village of Great Easton. 4k00:15Warsaw. Old town. Architecture, old houses, streets and neighborhoods. Poland. Shot in 4K (ultra-high definition (UHD)). hd00:14LLANGOLLEN, DENBIGHSHIRE/WALES - MAY 23: A steam train comes into Llangollen station on May 23, 2012 in Llangollen. The Llangollen railway is a Heritage Railway Line started by enthusiasts in 1975.